Two weeks ago, my iPhone 4 went through the washing machine... I did the rice bag thing but it didn't work, and I was told my phone was unrepairable. Imagine the drama! My parents have been SO kind and generous to offer me an iPhone 5s (I'm spoiled) that I couldn't love more. After a bit of oohing and aahing, I started searching for a new wallpaper. I use this one for my lock screen, but haven't been able to find one for my home screen. Not that there aren't any that I like, but I always find that colorful wallpapers are competing with my apps and make it hard for me to find quickly the app I'm looking for. So I've been going for minimalist, muted wallpapers. I hopped on the color block AND the marble trends, and made three versions: blush and marble, blush and wood, and blush and light gray wood. I hope you'll enjoy them. If there's a specific color you would like instead of the blush, ask and you shall receive! And if you have any problem downloading them, please let me know. I adore these! Thank you for sharing! 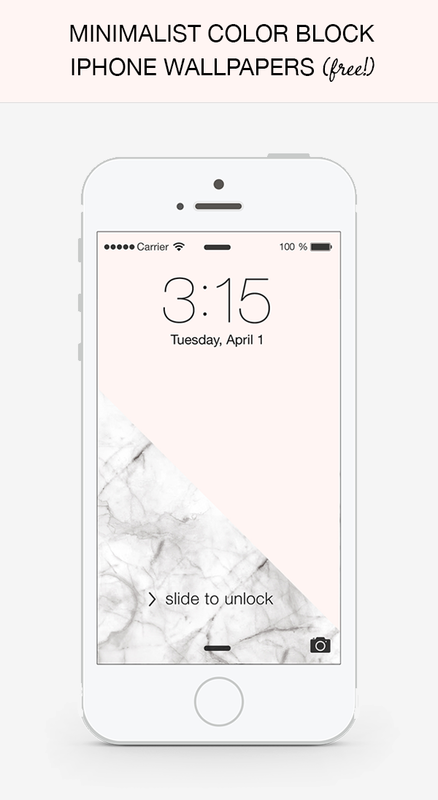 Just downloaded the marble and pink -thank you for sharing! Beautiful! I love minimalist wall papers as well. They're just that much neater. 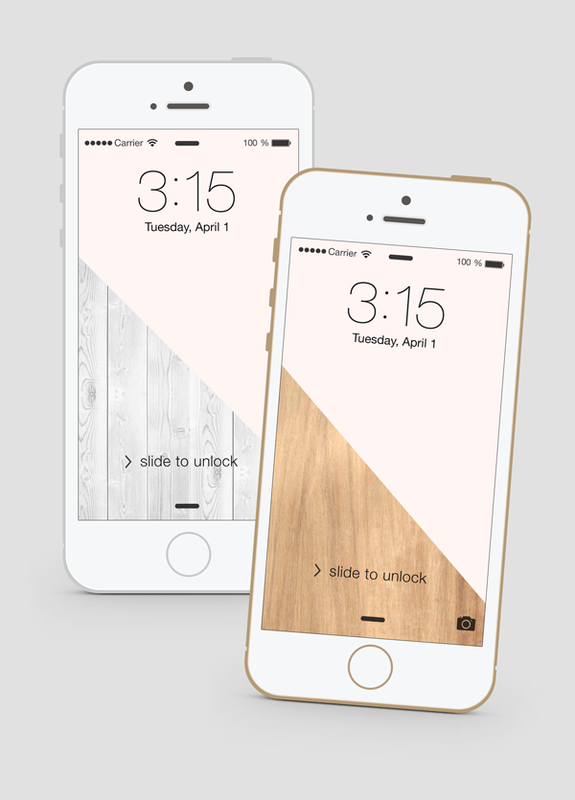 I'm using the grey wood one too :) Thanks for downloading it! Haha, so glad you like them! What about a periwinkle blue with the marble and wood?! Oh--and LOVE these! Thank you for sharing! Oh I'm so sorry, I missed your message! What size do you need? For iPhone 4 or 5?